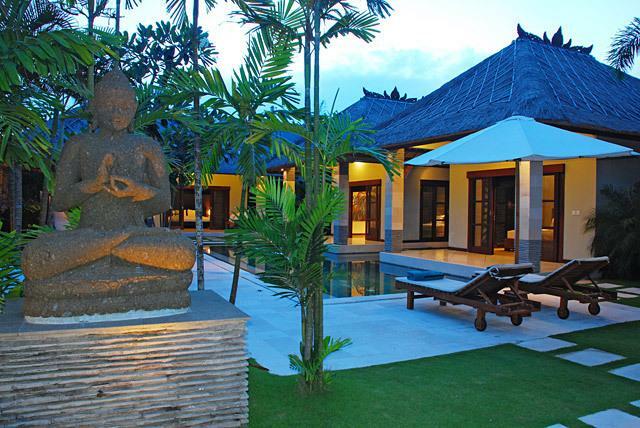 Villa 3598 fuses modern contemporary design with Balinese ethnic and emphasis on traditional Indonesian architecture; with its little Hindu temple wrapped in saffron robes Villa 3598 looks and feels very Balinese. 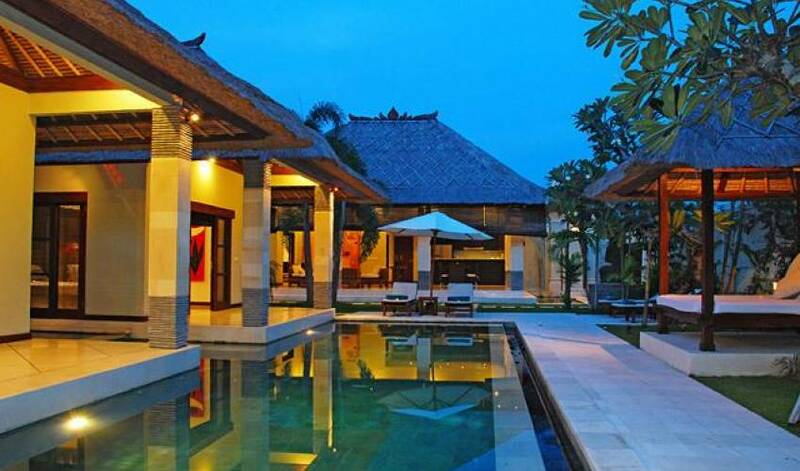 Villa 3598 means love and this intimate villa certainly aims at romance. 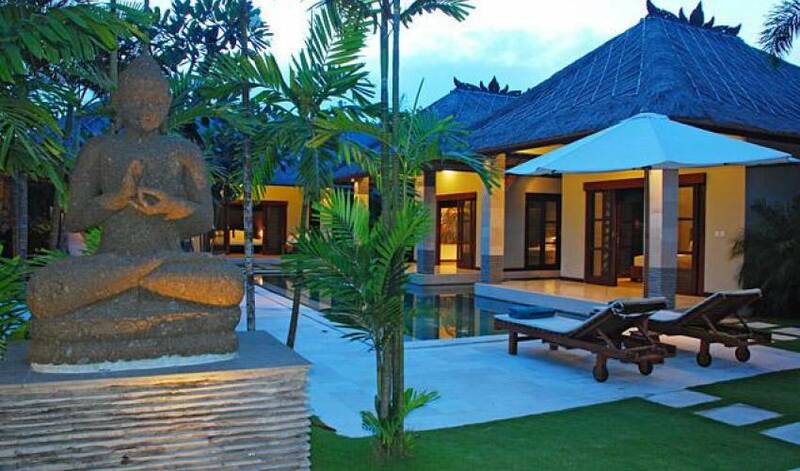 The entrance to Villa 3598 is via stepping stones that lead you across a tranquil fish pond overlooked by a peaceful stone Buddha statue. 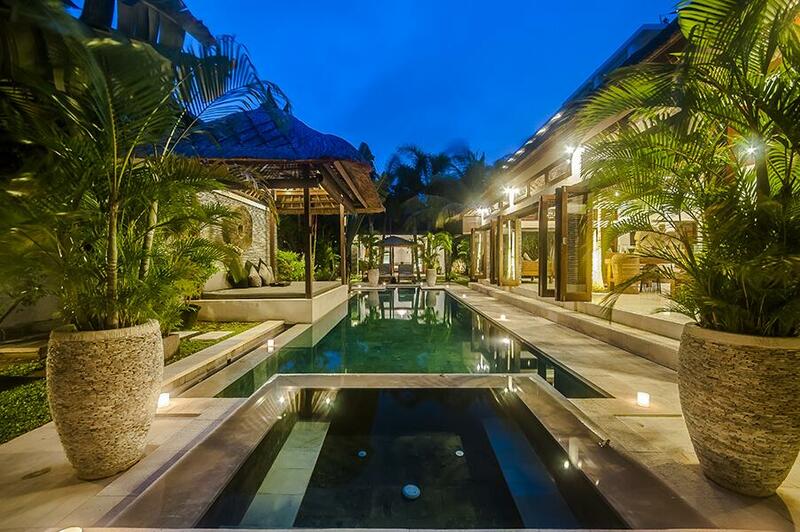 Located in Drupadi Street, just walk way to centre of Seminyak, only 10 minute walk to the beach. 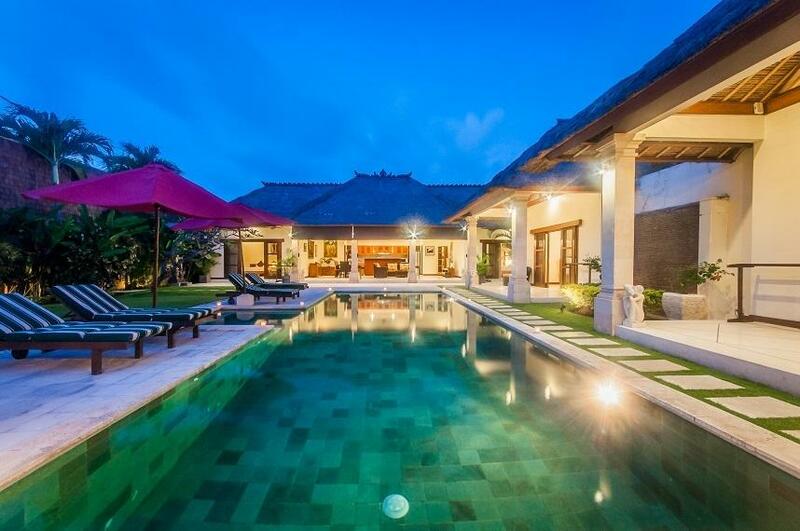 Most things you want to do during your holiday are within walking distance: beach, restaurants, the famous Seminyak night life, shops, spas and galleries. 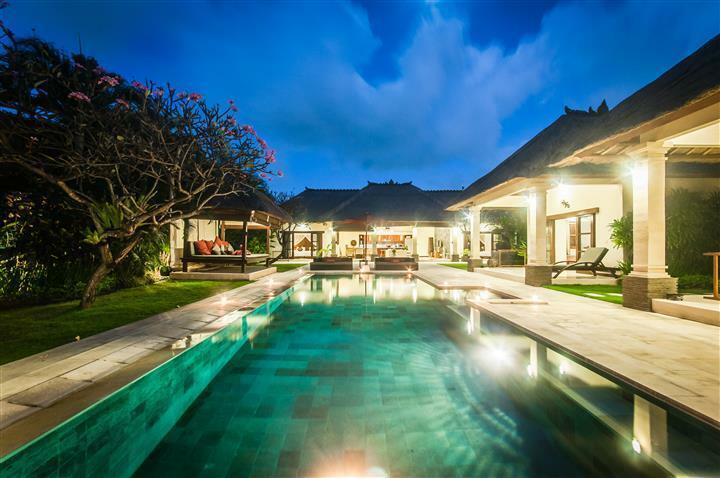 Designed to recreate the ambience of a traditional Balinese compound that features separate structures scattered across a landscaped garden, Villa 3598 is the perfect introduction to a tropical lifestyle experience. 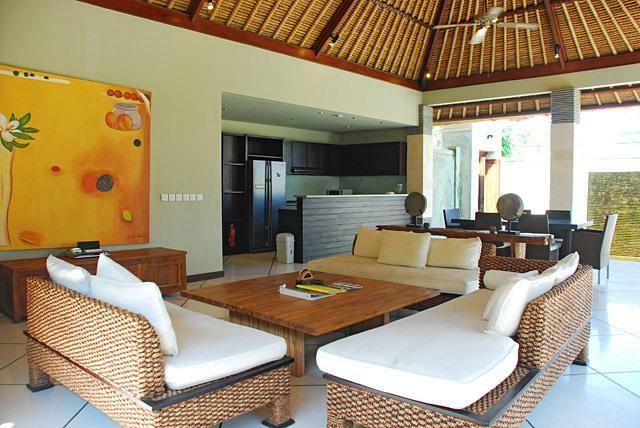 The villa is a perfect choice for a family trip or group of friends. 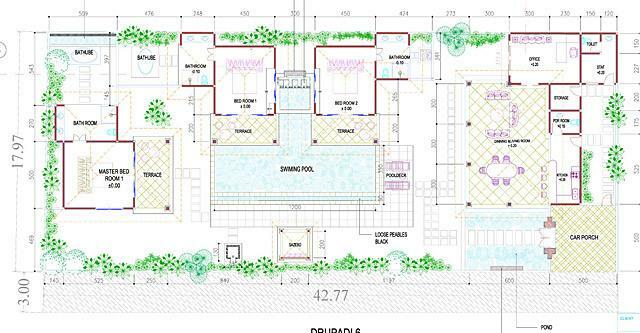 Villa 3598 stands on total area of 500 m2. 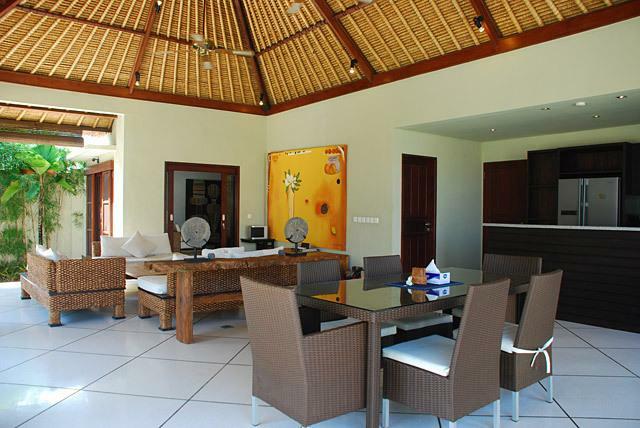 Villa 3598 is three bedrooms villas with four structure building. 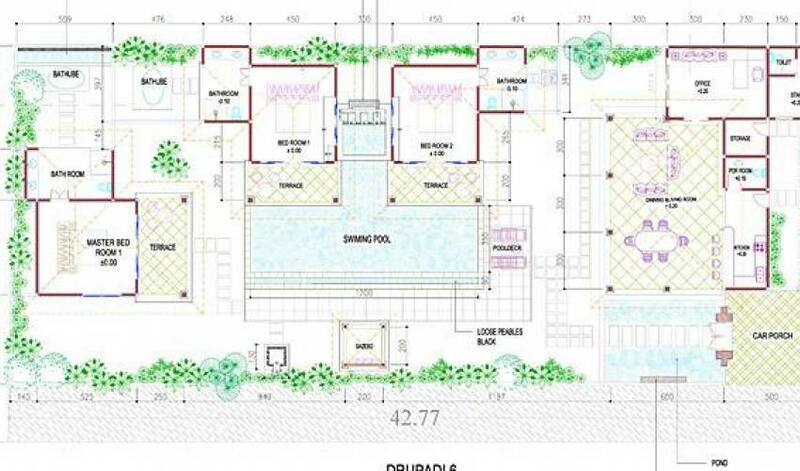 The main building is open living, dining, kitchen and entertainment rooms which can convert to be extra rooms for extra person. 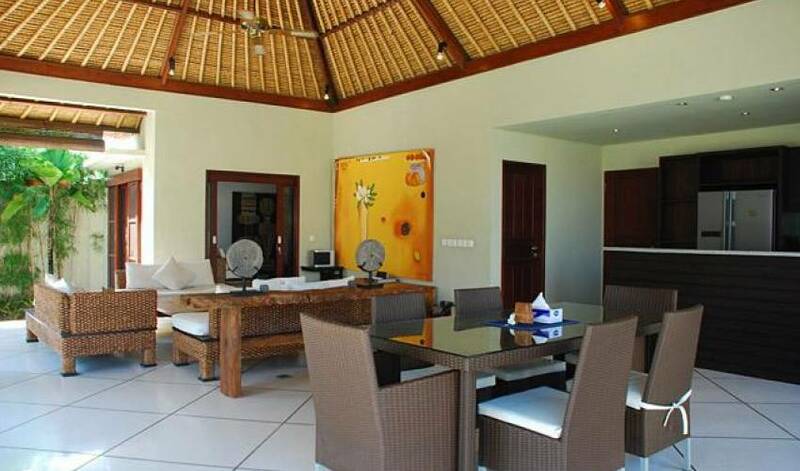 One is with two storey’s house the living and dining area, TV room, and two bedrooms. 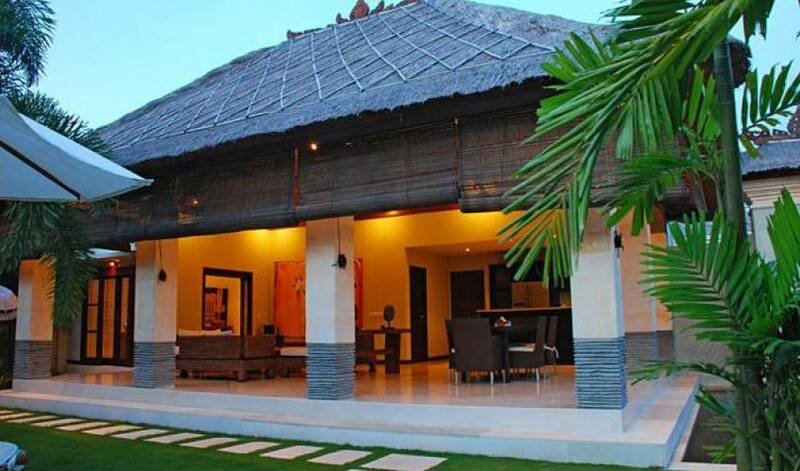 The other structure is guest house. 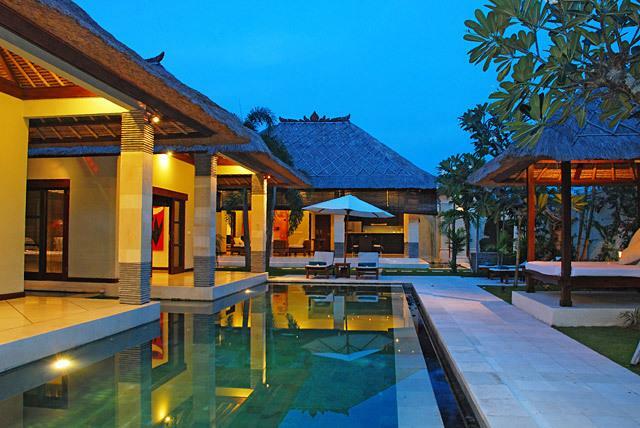 All parts of the villa overlooking the swimming pool.